Men acquire a particular quality by constantly acting a particular way … you become just by performing just actions, temperate by performing temperate actions, brave by performing brave actions. Figure 1: Picture of 38999 25/37 Connector with Pins Labeled. I almost sent out a spreadsheet today that contained a VLOOKUP error – I forgot that VLOOKUP is not case sensitive. Fortunately, I caught my error seconds before I hit send. Today's post is about how I chose to perform a case-sensitive lookup in an ancient version of Excel. My application is simple. 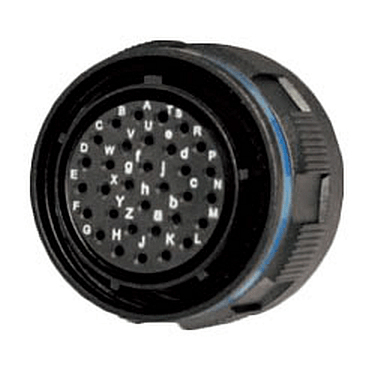 I am working with a round connector that assigns lower and upper case letters to the pin positions (Figure 1). I have a list of coordinate positions for each pin label. I also have a separate list with pin labels that are assigned to lasers. I want a list of the (x, y) coordinate of every laser. Normally, I would use Power Query and a join to perform the lookup, however, my customer is forcing me to use an ancient version of Excel that does not support Power Query. There are many ways to solve this problem. A quick Google search led me to this web page that gave a solution based on an array function that contains the Index/Match/Exact functions to solve my problem. I liked this solution because it is generally applicable. Figure 2 shows how I this approach to lookup pin X-values using the transmit pin name and a column of all the pin names. The Y-value lookup is similar. My example uses tables and structured references. Figure 2: My Lookup Function for X-Values Using Transmits Names. I include a greatly simplified version of my original Excel work here. — Jeannette Rankin, the only congressman to vote against the declaration of war on Japan after Pearl Harbor. Figure 1: Example of Noise Injected as Part of a Susceptibility Test. I am doing some testing at an Electromagnetic Compatibility (EMC) facility this week. Part of the test specification requires that we inject audio frequency interference on the power supply lines at discrete frequencies that range from 10Hz to 100+KHz, with 30 frequencies selected from each decade of frequencies (e.g. 10 Hz to 100 Hz, 100 Hz to 1 kHz, etc.). Figure 1 shows a specification similar to the one I am performing. My test facility that has chosen the discrete frequencies to be evenly spaced on a logarithmic axis. 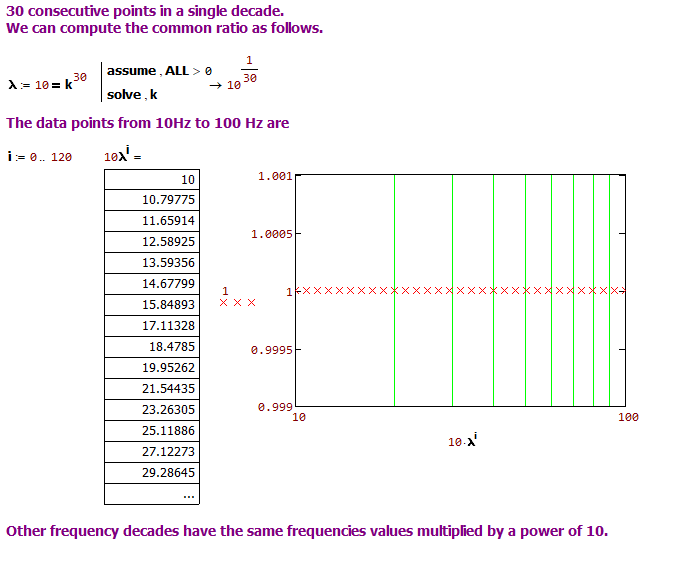 I started to wonder how the frequencies were selected – let's work through it. The key to determining the points is to observe that consecutive, evenly-spaced points on a logarithmic axis share a common ratio. We can use this fact to derive a solution using Mathcad as shown in Figure 2. Excel users can see the solution here. Figure 2: Mathcad Calculation of 30 Points Evenly Spaced on a Log Scale. — George C. Marshall. I have met many people who spend their lives constantly looking back and expressing regret for opportunities lost. Learn what you can from your experience and move forward. As Spock used to say "Regret is a useless emotion, especially in humans." 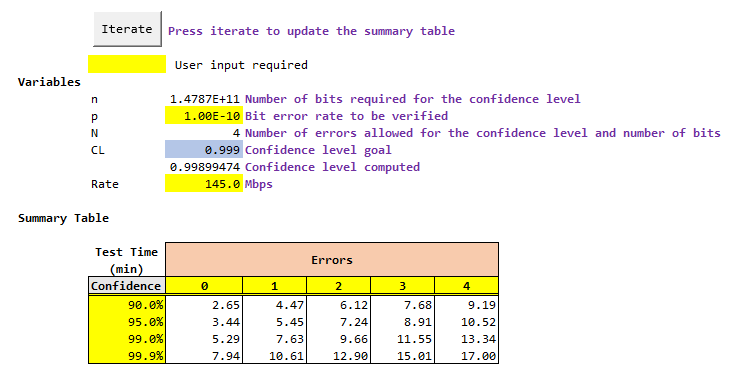 Figure 1: BER Test Data Table for a Single Unit. There are 18 measurements for each unit. I am currently working as a project manager on a serial data channel qualification task. During this work, I need to estimate the time required to perform dozens of Bit Error Rate (BER) measurements under different scenarios (see Figure 1). In these measurements, we are working to ensure that our BER is always 1E-10 or less. I have performed this calculation many times and have derived all the associated formulas here. BER is a statistical parameter and its measurement is a function of the confidence level you want in your answer. In this case, we want the highest confidence level possible consistent with a two-week test effort. The calculation requires solving Equation 1 for n, the number of bits required, to confirm a maximum BER p at a specific confidence level CL and error number N.
To convert the number of bits transferred to a test time τ, we need to evaluate Equation 2 with the bit transfer rate, r.
We need to come up with an iterative solution for Equation 1 because it does not have a closed-form solution. In Excel, I used the Goal Seek function with a macro. Evaluating summations are a bit messy in Excel. In this case, I decided to use an array formula, which allowed the formula to be evaluated in a single cell. You must configure the Excel spreadsheet to use iteration and reduce that maximum change allowed. You adjust these values in Excel by going to File/Options/Formula and checking the following boxes. Figure 2: Excel Iteration Settings. Figure 3 is a screenshot of the workbook's test time calculation. The worksheet is easy to use – just input your p, N, CL, and rate values (highlighted in yellow), then press iterate. This calculation tells me how long a single BER measurement will take. Remember that I need to perform dozens of these measurements, so even small reductions in the single-test time make a big difference to the overall test time. Figure 3: Screenshot of My BER Workbook. For those interested, my Excel workbook is here. It includes a very simple macro (shown below) that calls the Goal Seek function for each confidence level and allowed error number. The macro also changes the iteration setting. Concentration is my motto. First honesty, then industry, then concentration. Figure 1: Block Diagram Showing Role of Battery Isolator. I recently was asked if it was possible to design a circuit that will isolate a battery from a circuit until a momentary switch is closed (Figure 1). Once the momentary switch is closed, the battery is connected to the rest of the circuit and it cannot be disconnected by further mechanical switch closures. This was just a proof-of-feasibility exercise and NOT a final implementation. However, it was a good example of how to use LTSpice to verify the first design concept and is worthwhile documenting here. Very low DC load on the battery when in isolation mode. Stay latched down to ~2.0 V.
Figure 2 shows the basic circuit. The switch S2 represents the momentary switch. MOSFETs M1 and M2 form the latch. Figure 1: LTSpice Schematic of Battery Isolator Circuit. Figure 3 shows my LTSpice simulation. Figure 3: Simulation of the Battery Isolator Shown in Figure 2. The simulation shows that the circuit works for this simple test case. Much more checking is needed. This is enough for now – I have shown that a circuit like this is possible. 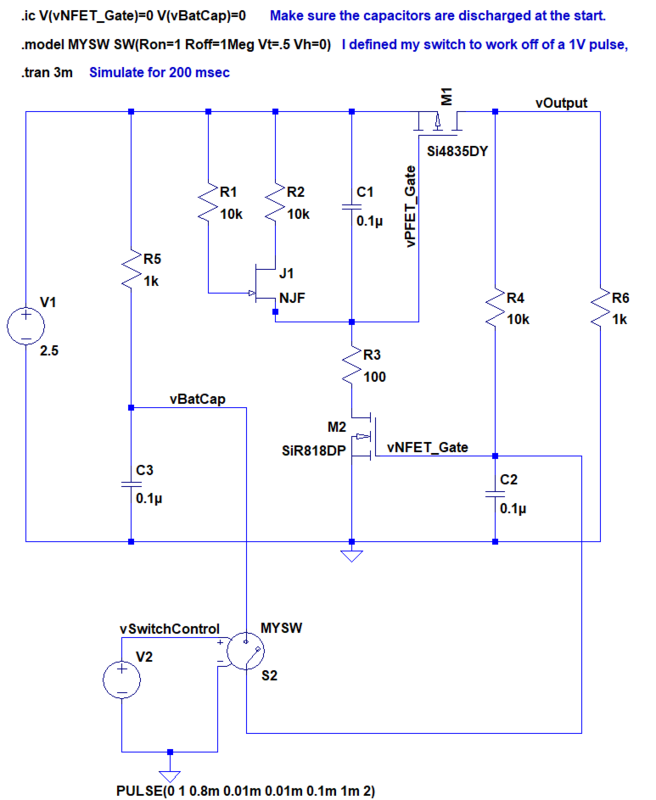 For those who are interested, my LTSpice schematic is available here. Many thanks to Kurt Raichle for lending his superb analog expertise to this exercise. I think a man only needs one thing in life. He just needs someone to love. If you can't give him that, then give him something to hope for. And if you can't give him that, just give him something to do. Table 1: Years where Fathers Day and My Anniversary Coincide. My wedding anniversary (16-June) and Fathers Day are on the same weekend this year. Next year, Fathers Day and my anniversary are on the same day. I became curious about (a) how to compute the date of Fathers Day for each year, and (b) determining the years when Fathers Day and my anniversary occur on the same date. Since the calculation is simple and table-oriented, I will use Excel for this project. Table 1 shows the years with Fathers Days that coincide with my anniversary. 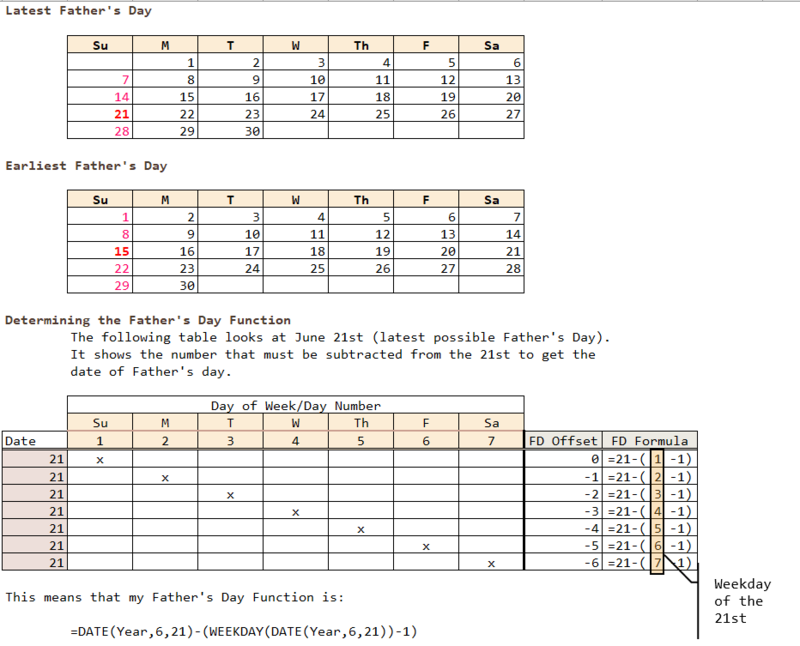 I generated this table by filtering the comprehensive list for all Fathers Days on the 16th. Figure 2 shows how I derived my Excel formula. My approach was to look at the latest possible Fathers Day and then determine a correction based on the day of the week that the latest possible Fathers Day falls on. 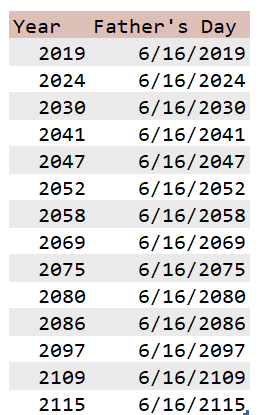 Table 3 is the comprehensive list that shows the dates for every Father's day for the next 100 years. For those who are interested, my Excel Workbook can be found here. Figure 2: Rationale Behind Excel Formula. Table 2: Fathers Day for the Next 100 years. Figure 1: HVAC Load for 17 People. … 17 extra occupants added more than a half ton of cooling load. Figure 1 shows how to prove this statement assuming that the average person burns 2000 kilocalories a day, which is probably a low number. 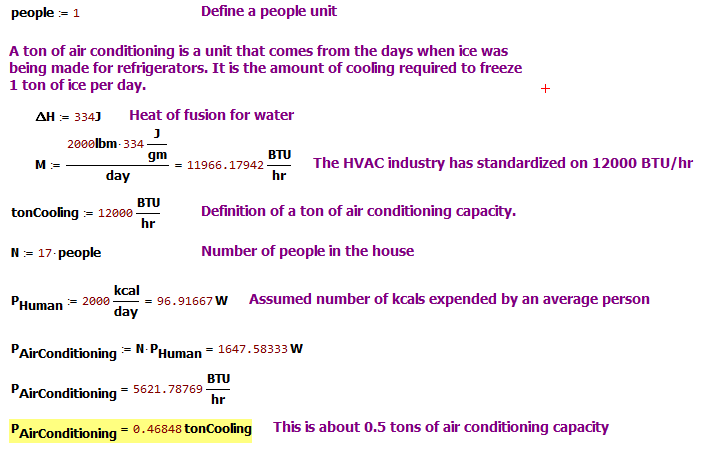 This problem is all about unit conversion: kilocalories, BTUs, tons of cooling, etc. 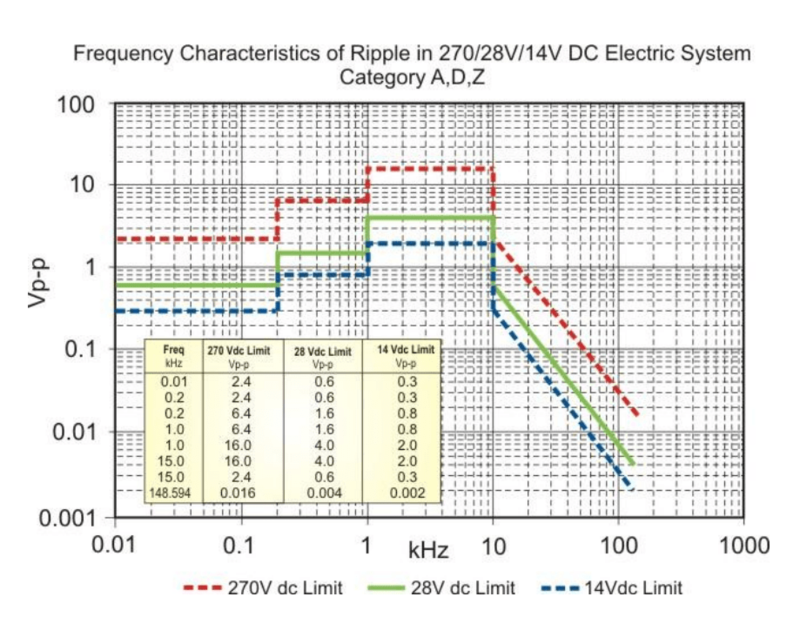 You might wonder why an electrical engineer would worry about these sorts of things. Unfortunately, I frequently have to specify the cooling capacity required for the electronics that I put into rooms. 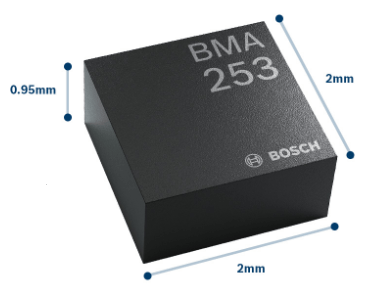 I am working on a product that uses a Bosch BMA253 accelerometer as a motion sensor. This family of products has become a defacto standard for inexpensive motion detection. In this post, I will provide a simple power calculation example along with some empirical data that Bosch provided me. Normally, I would not consider a simple power calculation worth writing about, but the datasheet did not provide a worked example. I also provide an Excel workbook that parameterizes the critical variables. Here are the critical formulas for low power mode 1. For low power mode 2, the formulas are the same with the 1 subscript changed to 2.
bw is the bandwidth setting of the digital filter. tut is the updated time for the filter output data. tw,up1 is the data acquisition stabilization time. tsleep is the time during which the BMA253 is put in suspend mode ("sleep"). tactive is the time during which the BMA253 is stabilizing and acquiring data. fOutput is the output data rate from the digital filter. IDD is the current draw of the BMA253 when it is performing data acquisition ("active"). IDDsum is the current draw of the BMA253 when it is in suspend mode ("sleeping"). Figure 2 illustrates the data acquisition timing. Figure 2: Data Acquisition Timing. Table 1: Estimated and Measured BMA253 Current Draws. What I liked about the data I received from Bosch is that it allows me to determine the accuracy of the current draw formula relative to the measured data. Figure 1: Ten States with the Highest Military Death Rates During the Vietnam War. The population basis was 1975. My first engineering manager was named Marl Godfrey. He was an excellent manager who also had keen insights into the human condition. These insights made quite an impression on my 22-year old self – I actually kept a notebook of his comments. Some of his most insightful comments were about the US military and the Vietnam War. Marl had grown up in Oklahoma and he had served in Vietnam. He once commented that Oklahoma had very aggressive draft boards, which resulted in Oklahoma having a relatively high death rate during the conflict. I was reminded of this statement when I recently reviewed my quote database. I thought that I should be able to determine how death rates varied by state during the Vietnam War, which is the subject of this post. Figure 1 shows my results. I determined the rate based on the state populations during 1975, which was the year the war ended. 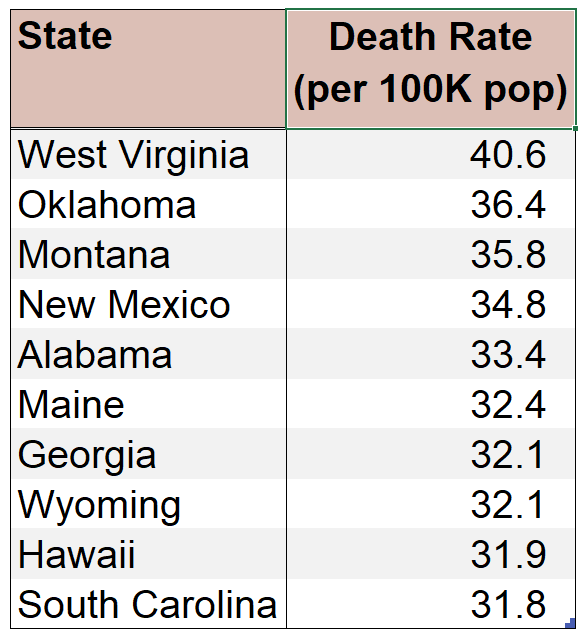 Marl Godfrey was correct – Oklahoma had a very high death rate during the Vietnam War. 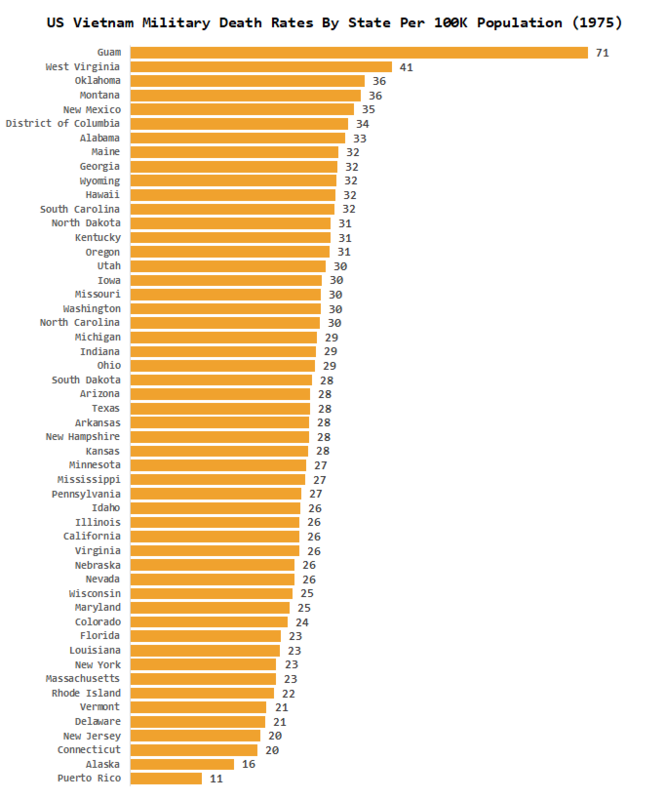 I should mention that the rate ranking varies depending on the year from which the state population data was taken. Figure 2 shows a graphic with all the state data plus Washington DC and the territories of Puerto Rico, Guam, and American Samoa. The range of rates is startling – Guam, in particular, paid a heavy price. Figure 2: US Military Death Rates By State During Vietnam. The US Army bore the brunt of the US deaths during the Vietnam War (Figure 3). 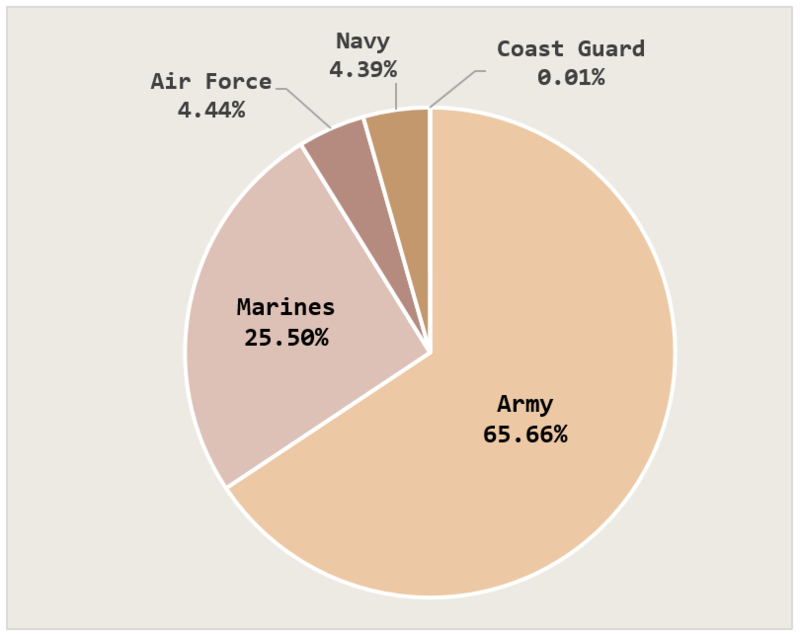 Figure 3: US Military Death Percentages by Service. For those who are interested, my Excel workbook is located here. The raw data came from this website. 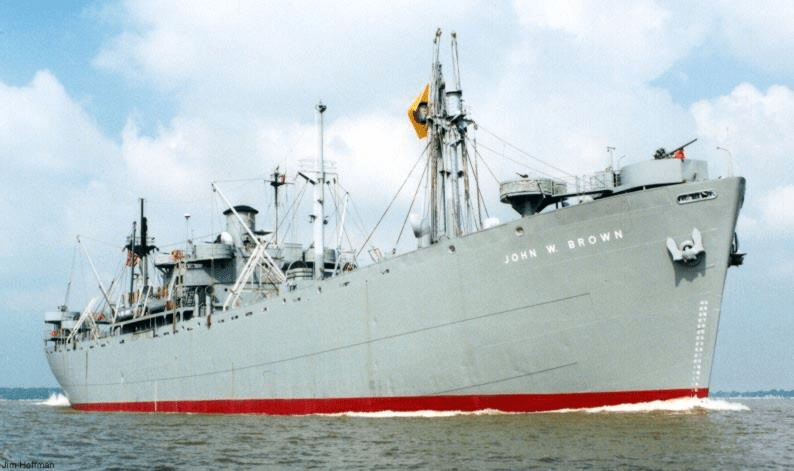 Figure 1: Photograph of the USS John W. Brown, one of two Liberty Ships serving as museums (Source). One WW2 battle that we hear little about was fought by logisticians. Their battle was between what could be produced versus what could be delivered in time to matter. This point was driven home to me when I heard a WW2 historian say that the US had the manufacturing capacity to produce 150K tanks, but that level of tank production would consume all the US steel and leave nothing to build the ships needed to carry the tanks to the fight. Figure 2: Cross-Section of a Liberty Cargo Ship (Source). WW2 logisticians needed to balance performance and quality with time to build and deliver. The Liberty Ship was a prime example of this balancing act. It was a key contributor to the timely delivery of war materials to all fronts during WW2. 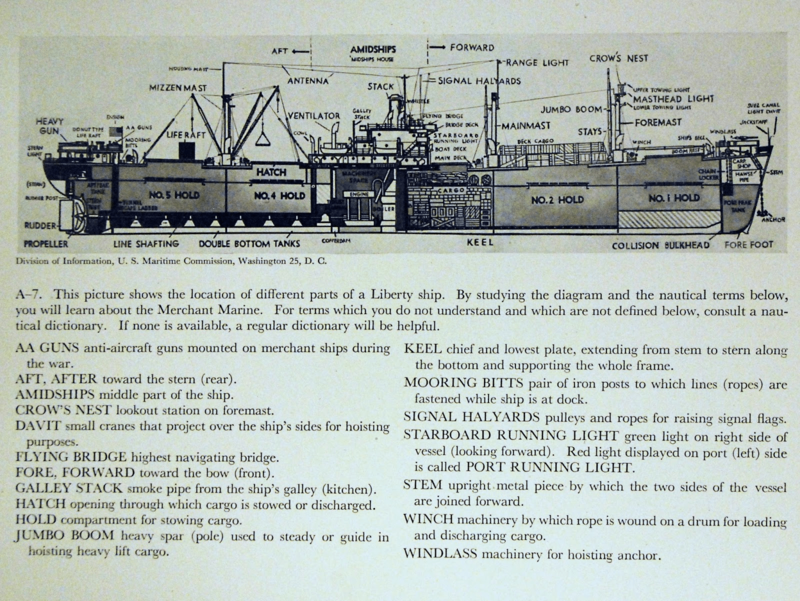 Figure 2 shows the basic layout of a Liberty Ship configured for carrying cargo, which was its most common configuration. These ships could carry just over 10,000 tonnes of cargo. This meant that a Liberty Ship could carry 2,840 jeeps, 440 light tanks or 260 medium tanks, or 230 million rounds of rifle ammunition (Source). The design of the Liberty Ship was very simple, which allowed it to be built by many shipyards. Its simple design also made it easily configurable for other applications. There were three basic types: Cargo, Tanker, and Collier. However, some of these ended up configured as hospital ships, floating maintenance platforms, boxed aircraft transports (i.e., carried aircraft that were in boxes), and troopships. I found all the data that I needed in the tables within this pdf document. I extracted the tables using the free tool called tabula. I then used the regular expression processing ability of Notepad++ to tidy up the data for processing. The actual analysis was performed using Excel, Power Query, and pivot tables. My workbook and the associated text files are in this zip files. Table 1 shows the number of Liberty Ships built per year. As you can see, production peaked in 1943. This makes sense when you see that the US was preparing to supply its big push during 1944. Table 2 shows the number of Liberty Ships built per shipyard. There were 16 shipyards that laid keels for 2711 Liberty Ship – one ship, Louis C. Tiffany, was destroyed by fire before it was completed. Table 3 shows how the median number of days to produce a Liberty Ship varied by year. The median number of days required to product a Liberty Ship reached its minimum during the year when production peaked. Table 1: Liberty Ships Built Per Year. Table 2: Liberty Ships By Shipyard. Table 3: Median Days to Completion from Laying. There was nothing pretty about a Liberty Ship – FDR called it "a dreadful-looking object." It provided sealift when needed to support the major campaigns of 1944 and 1945. It certainly had issues. It was vulnerable to U-boat attack because it was underpowered and slow. Also, a major problem was discovered after three ships split in two while operating in cold water (Figure 3). 30% of the Liberty Ship fleet eventually experienced the cracking problem (Source). A pioneering female metallurgist, Constance Tipper, discovered that the steel used in the Liberty Ships became brittle below a critical temperature. A series of remedies were provided the resolved the issue for later production runs. One contributing factor to the cracking problem was the extensive use of welding in the fabrication of the Liberty Ships. ww2 shipyards had relatively little experience with welding because previous ship designs had been built using rivets – a form of fastening that is much less susceptible to cracking issues, but not applicable to modern mass-production methods. Welding and design practices were eventually developed that made welding a mainstay of the shipbuilding industry. 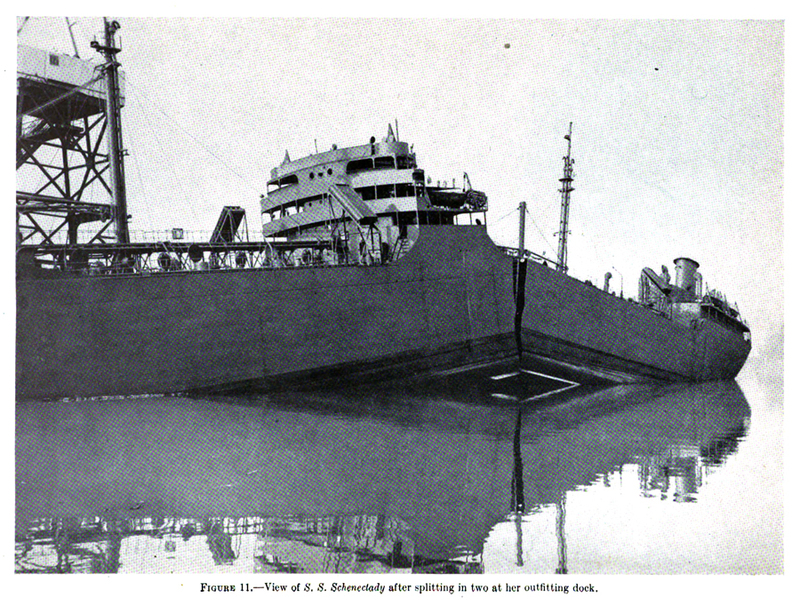 Figure 3: Picture of the SS Schenectady after a cracking failure (Source). Because the Liberty Ship's slow speed made it vulnerable to U-boats, the US developed the Victory Ship class that had more powerful engines and higher speed. This made it usable in high-speed convoys, which the lower speed U-boats had more difficulty engaging. This data ignores three Victory Ships made post-war by Alcoa in 1947. 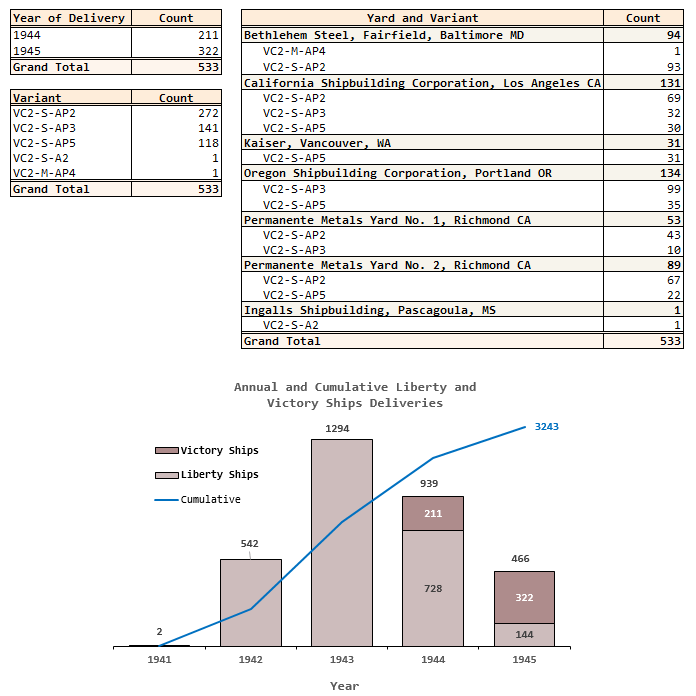 Figure 4: Summary of Victory Ship Data.